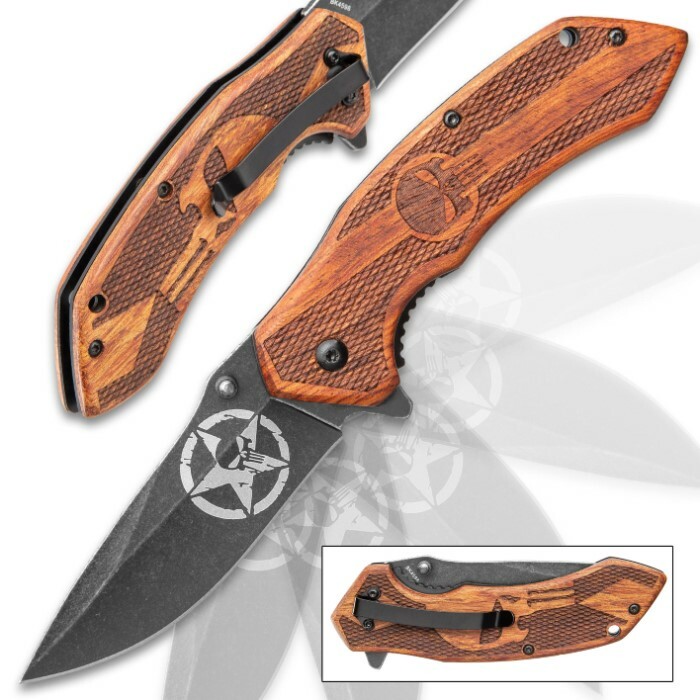 The Punisher Pocket Knife - Stonewashed Black Stainless Steel Blade, Engraved Wooden Handle Scales, Pocket Clip | BUDK.com - Knives & Swords At The Lowest Prices! 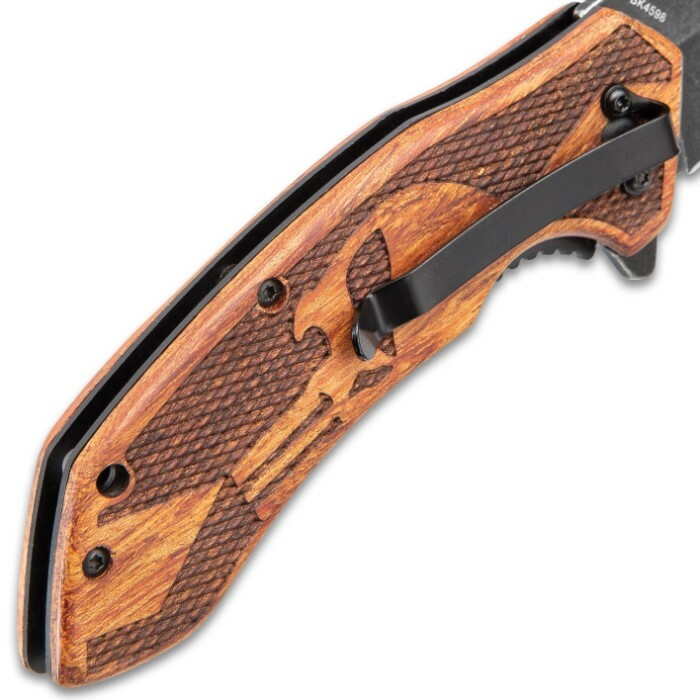 The Punisher Pocket Knife is as All-American as you can get, from its traditional wooden handle with a symbol of justice to its perfect everyday carry size. 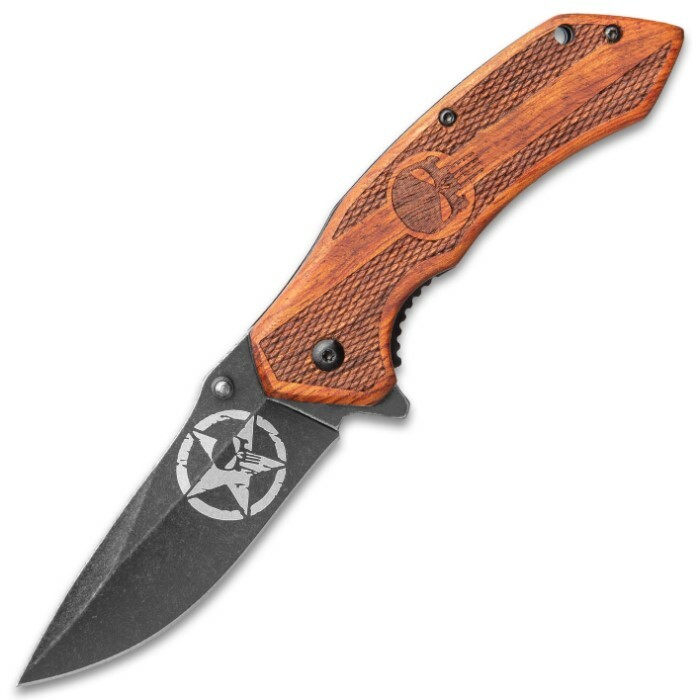 The assisted opening knife has a 3 1/4” stonewashed black stainless steel blade that can be deployed using either the flipper or thumbstuds. 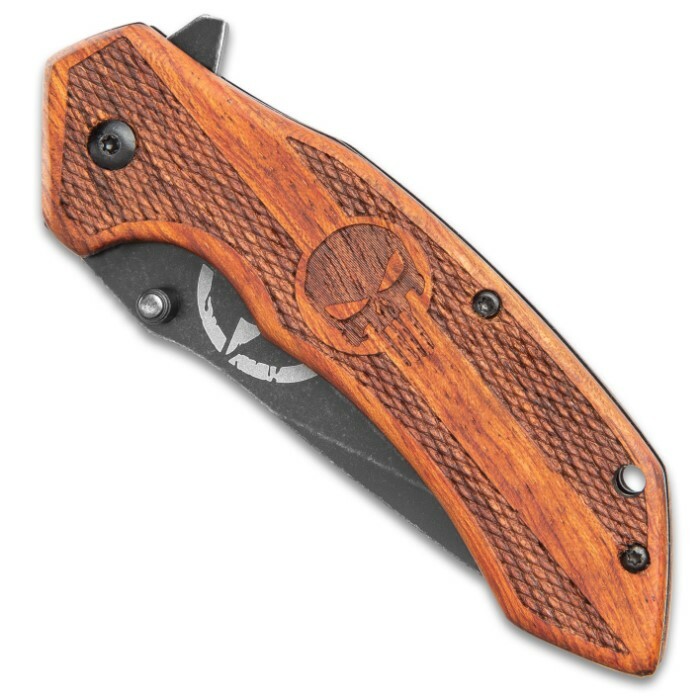 The ergonomic, textured wooden handle scales are engraved with a Punisher theme and the stainless steel liners are non-reflective black. 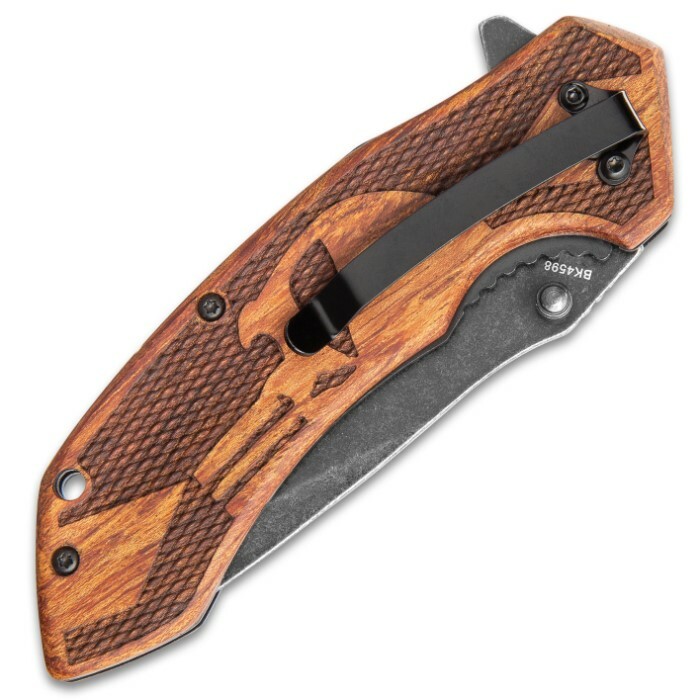 The assisted opening pocket knife is 4 1/2”, when closed, and has a sturdy black pocket clip, allowing ease of carry.